The bad news of a lawsuit must be delivered in person to each defendant in the form of a Summons and Complaint. The bearer is usually a professional process server, often paid at a flat rate. By the time SRF’s server found his way to Ananda Village on Tyler Foote Road off Highway 49, down and up curvy mountain roads for twenty miles north from Nevada City, he had earned his fee. The northern Sierra Nevada Mountains grow hot and dry in the summer, the dust from gravel roads hanging in the air long after a car has passed. Once you make it to the Village, it is hard to know which road to take to what housing cluster or home to find a par­ticular person. In 1990 most of the roads were not paved, and there were no maps or guideposts to assist the first-time visitor. But Ananda was served. SRF asked the court to order that all of Ananda’s income from the sale of its books, tapes, and services be gathered together and held in trust for SRF’s ben­efit. Whatever money Ananda might be making, SRF argued, was attributable to Ananda’s breach of one or another of SRF’s rights, and Ananda should not be spending this money, but preserving it to turn over to SRF later. To find out how much money that was, SRF needed to do an “independent accounting” of both Ananda’s and Kriyananda’s finances. 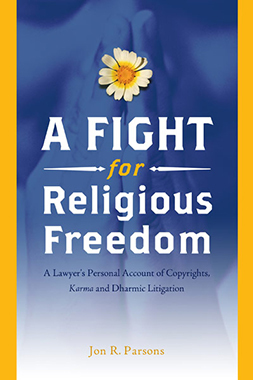 SRF requested the court award millions of dollars in damages, and more for pu­nitive damages, against both Ananda and Kriyananda. In addition, at least two in­junctions were needed; one right away, and then a permanent one later, prohibiting Kriyananda and Ananda from ever holding themselves out as teaching anything by or about Yogananda. SRF wanted Ananda and Kriyananda to be prohibited from ever using the term “Self-Realization” to describe their religious teachings, and in particular from using the term in Ananda’s name. 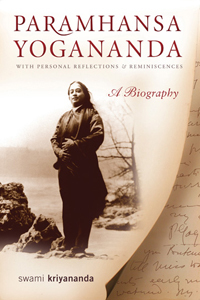 Despite complaining about copyright infringements too numerous to list, the complaint made no allegation about any infringement of the Autobiography of a Yogi, Yogananda’s principal work. 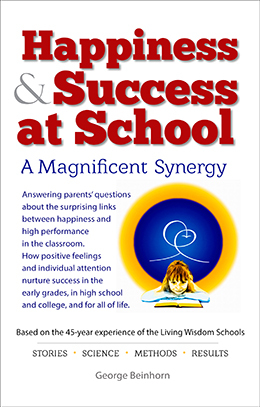 Ananda had quoted from it on many occasions, and we were surprised and relieved to see that it was not included. At least we would not need to deal with the Autobiography. In a paragraph emblematic of SRF’s vision of itself, the complaint claimed that Yogananda had founded SRF, “under the control and direction of its President and Board of Directors, as the organ through which he desired and intended to promul­gate the principles and teachings which he espoused.” Thus, from the beginning of the suit SRF inflated the importance of the corporation, and minimized the role of Yogananda outside the organization. While it was true, as the complaint alleged, that Yogananda was president of SRF for life, he was so much more. He was the Guru-Preceptor and Self-realized Master. He had formed SRF, as well as other or­ganizations, to serve him, not vice-versa. SRF’s myopic perception of its importance would color positions it took throughout the lawsuit. One church suing another to stop it from spreading the teachings of the guru they both followed did not seem dharmic, but what did I know? If SRF didn’t want to establish World Brotherhood Colonies, why not let Ananda do it? And SRF’s claims to control the purity of the teachings seemed like sweeping back the tide, as if any organization could now control religious doctrine for long. If there was any question about Yogananda’s actual words and the “purity” of SRF’s version of those teachings, all SRF had to do was trot out its archived originals. SRF had grown rich as Croesus over the years and could not have been hurt economically by Ananda’s activities. Before Yogananda’s passing, he had famously commented that once he was gone “only love” could take his place. SRF apparently believed in tough love. To make matters worse, we learned from the complaint that SRF had also retained Downey Brand, the largest law firm in Sacramento, to be their hometown boys. The expanded scope of the lawsuit made us stop and reconsider everything. We reviewed each claim to see what we knew about the facts alleged, and what defenses might be available. It would be costly to guess wrong. But we were plunging too quickly into waters too deep to know our way out yet. If it was illegal for Kriyanan­da and Ananda to quote their guru, then they were indeed in trouble. But giving up would not solve that problem. Kriyananda could not believe that his guru meant him to be silent. Forward lay the way to the light. With the ranks thus arrayed, gurubais on both sides, the parties agreed to a final meeting to try and avoid the crisis. Even on the eve of a battle one might come to see things in new ways. Fresno was a bustling farm town of a quarter million souls, nestled in the south­ern reaches of the verdant San Joaquin Valley. Known primarily as the home of the Sun-Maid Raisin processing plant, Fresno was a gateway to the southern Sierra Nevada Mountains and Yosemite National Park. It happened to sit halfway be­tween the northern Gold Country home of Ananda and the Los Angeles headquar­ters of SRF. The parties would meet at a downtown hotel, with all the principals present, for a candid discussion on the important issues underlying the complaint. It would start with prayer and chanting, and who knew where it might go? Living in Palo Alto, I drove separately to Fresno the night before. I had nothing to say, and went only because I had to be there as Ananda’s counsel to help finalize any agreement the parties might happily make. Six months before I didn’t know a thing about SRF. Now, at this meeting, I was going to put faces to the names and personalities I had lately learned so much about. Daya Mata, the third and current president of the organization, her sister Ananda Mata, as well as other “direct dis­ciples” like Uma Mata and Mrinalini Mata, would be there. During a trip to India in the late 1950s, someone told Sister Daya, as she was then known, that “Sister” did not sound distinguished enough for the head of Yo­gananda’s organization. After she returned to California, the Board held a meeting and the female direct disciples awarded themselves each the honorary title of Mata (“mother”), with colorful saris to match. Faye’s sister Virginia, already long known as Mataji, received the new name of Ananda Mata. Some of the monks at SRF had been direct disciples too, including Kriyananda, but they must be content remain­ing “Brothers.” SRF had become a matriarchy. On the way to Fresno I passed Christopher Ranch, known worldwide for its garlic, and whose patriarch was one of the founders of the annual Gilroy Garlic Fes­tival. Seven years later a family member, attorney Rob Christopher, would join the Ananda litigation team, and head up the 2002 trial in Sacramento. As the Central Valley unfolded verdant and green, a golden sun setting behind me, I was at peace with the world. And what a world, that I should find myself driving to such a meet­ing in Fresno. These ladies had each been meditating long hours every day for the last sixty years or so, and collectively carried the wisdom from centuries of studying the teachings. They must be buzzing with their Master’s energy. I wondered if I’d feel it when I entered the room. This was going to be fun. The meeting next morning was not fun. Daya Mata and Ananda Mata led the SRF delegation, and conferred from time to time with their sister Matas. Some monks were also in attendance, but with no apparent input into what was going on. We had prepared for the meeting with detailed settlement suggestions, writ­ten negotiating points, and “fall-back” positions. It was a last chance to avoid the cost and chaos of litigation, and we took it seriously. A large conference room had been reserved, with a table at one end, and after introductions we all took our seats. It started well enough, with Daya Mata leading a prayer and then some let’s-get-comfortable group chanting. Ananda opened the working session of the meeting by offering to give ground and use “God-Realization” instead of “Self-Realization” in its name. A major concession. This was what the letters had been about. But now the lawsuit embraced much more. SRF would not budge from their expanded demands stated in the complaint. It quickly became apparent that SRF looked upon Fresno as the last opportunity for an errant disciple to “come to Canossa” and kneel in the snow of their love and forgiveness. If Kriyananda stopped using “Self-Realization” and his Master’s name, and disavowed any con­nection to his Master’s line of teaching, then he could go in peace. The meeting was over as soon as it began, but dragged on for hours as Ananda probed in vain for some compromise. There had been no buzz that morning when I entered the room, and it seemed a long drive with little to show for it. But I had seen the as­sembled Matas strut their stuff, playing oriental in pastel saris. It had been all deco­rous and polite, and the ladies seemed nice enough, but when Fresno failed they let slip the dogs of law. SRF filed a motion for a preliminary injunction in September 1990, the month before our first scheduled court appearance. It asked the court to enjoin, or pro­hibit, Ananda from using not only the name “Church of Self-Realization,” but also the “service mark” Paramahansa Yogananda. Ananda should not be able to use Yo­gananda’s name in connection with the sale of goods or services—by which SRF meant Ananda’s religious services and programs. This was the first of many mo­tions that explained SRF’s mission in purely commercial terms. SRF could have been selling “Yogananda” brand shoes as well as Self-realization—it was all about the brand. SRF’s motion included a declaration from a Carolyn McKean of Portland, Or­egon. Her declaration stated that she had once bought something from Ananda thinking she was buying it from SRF, and when she called Ananda to clarify, she became confused. This declaration provided the lynchpin for SRF’s claim that Ananda was intentionally trying to pass itself off as being affiliated with SRF. SRF also offered this evidence to show that consumers were confused by the similarity in the names of the two organizations. Just before, and for a while after, the McK­ean declaration Ananda had been receiving telephone calls from people who would state that they were confused about the differences between SRF and Ananda, and ask if the two organizations were the same, or affiliated in some way. The calls were so suddenly numerous, and surprisingly similar, that we knew SRF had some new iron in the fire. Ananda members who staffed the telephones were advised to an­swer all inquiries truthfully, but carefully, and keep track of all calls claiming con­fusion. After about six months, when the callers failed to glean any misstatements that SRF could use to advantage, the calls stopped as suddenly as they had begun. We responded to SRF’s request for an injunction with what we had, but it amounted to simply denying SRF’s evidence and pointing to the Constitution. Without yet obtaining any information from SRF, we could only react to what SRF said. The allegations were so numerous and the issues so unusual that I could not grasp them quickly or well enough. We submitted our papers and hoped for the best. The federal courthouse in Sacramento was in the middle of its own changes, and in 1990 consisted of temporary chambers in a converted office building on Cap­itol Mall, a few blocks down from the Capitol Building. The retrofit showed its age but would have to do until the new courthouse could be built. For most of the case, therefore, we stayed at the Holiday Inn on J Street before our early morning court appearances. We would meet in the hotel restaurant before each session for breakfast and some last minute strategizing. I enjoyed the five-block walk en masse to court, the Capitol gleaming under the morning sun. Good times. Our case lasted so long that when the trial took place twelve years later, it would be on the eighth floor of the new federal courthouse. In the Federal District Court a new case filing is randomly assigned to a judge, who thereafter handles all aspects of the case from hearings and rulings along the way, to the trial itself. If a case is sent back to the trial court after appeal, it re­turns to the same judge. Federal judges are appointed by the president, and once approved by Congress they serve for life. 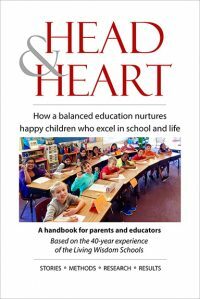 Given their tenure and power, they often develop into independent thinkers with forceful personalities. On the morning of October 12, 1990, we stood for the first time before Judge Edward J. Garcia, and took the measure of the man who would decide Ananda’s fate. Garcia had then been a federal judge for six years. He started off in the Sacra­mento County D.A.’s office, and rose to become Chief Deputy District Attorney. Governor Reagan appointed him to the Municipal Court in 1972, and twelve years later President Reagan elevated him to the federal bench for life. Raised in the Sac­ramento area, Garcia played baseball as a kid on the north side of town. Even in his sixties he swung a mean bat. The available published profile of Garcia painted a picture of an old school, no-nonsense judge who controlled his courtroom with a stern demeanor. He was known to have reduced counsel to tears, and to hold strong opinions of cases and lawyers who appeared before him. We were concerned that if he formed an initial negative opinion of Ananda we would have a hard time turning him around. True to reports, Garcia ruled his demesne with sharp eyes and cutting words. His massive wooden bench seemed taller, more formidable, than usual. And he did not suffer fools, or coddle the inexperienced, or anyone else who showed less that complete candor. Our matter came up later on that morning’s calendar, so we had an opportunity that first day to see him dressing lawyers down to the point that one indeed started to cry. Yikes. I never breathed easy in front of Garcia, even later in the case when he was consistently ruling in our favor. But I appreciated the speed and efficiency with which he handled a heavy caseload. He would complain from the bench about the length of our papers, and threaten to impose page limits on the next filing, but he never did. He read everything we gave him and gave us back de­tailed and considered opinions.